Auto Platoon – One of most under used features in MusicMaster? - by Aaron Taylor – WELCOME TO OUR INTERNATIONAL SUPPORT! We don’t really keep track, but we believe that Auto Platoon is one of the most underutilized features in MusicMaster. It is a very powerful tool for the overall rotation of your music, and we just don’t see it used often, or get many questions about how to best utilize it. If you’re interested in the basics of Auto Platoon, you should read Marianne Burkett’s primer on the subject. My focus is directed more towards getting you to consider all the ways you can use Auto Platoon to maximize the potential of your library. When you Auto Platoon, you are simply moving a set of music out of rotation, and then replacing it with another set of music. I’ll get to how you might consider what set of music in just a moment. Before you even decide what music, though, consider how the songs will be moved. This is done with the Moved By options. Starting from MusicMaster Version 5 (so also in the new Version 6), you can now decide if you want to move songs by the Move Date or the number of Category Plays. When you use Move Date, MusicMaster will take the songs that have been in the category the longest and move them. Category Plays will move those songs with the most plays. Even this simple decision can have an impact on the music playing. One-hit wonders might get more plays than other songs in the category because they fail fewer rules. Using the Category Plays option could move those songs out of rotation on a different basis. Next, consider when the Auto Platoon is done. We love that there are so many options here. Why did we do that? Quite simply, we wanted to give you every opportunity to customize when the songs are moved. Besides, it doesn’t hurt that your competitor will never figure out that every other month on the second Thursday you are moving songs to keep the overall sound of the station fresh! The real power of Auto Platoon is, of course, how you determine which songs are moved. While you can certainly just decide that a certain number of songs or certain percentage of the category is moved on your predetermined timetable, there is a multitude of other ways to take advantage of this feature. Are you an oldies station that plays every Beatles song? 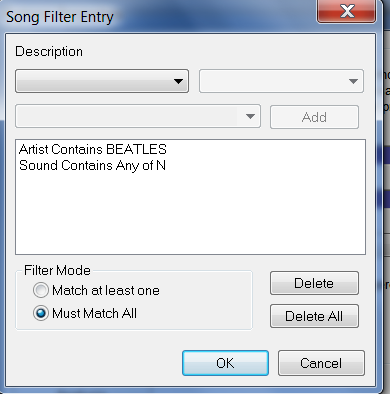 Consider using a filter to move only Beatles songs in and out of the category. You could even get more creative by coding the songs—perhaps Top-10 Beatles songs and Non-Top-10 (in the example below, the N represents that the song is considered a “non-hit”). 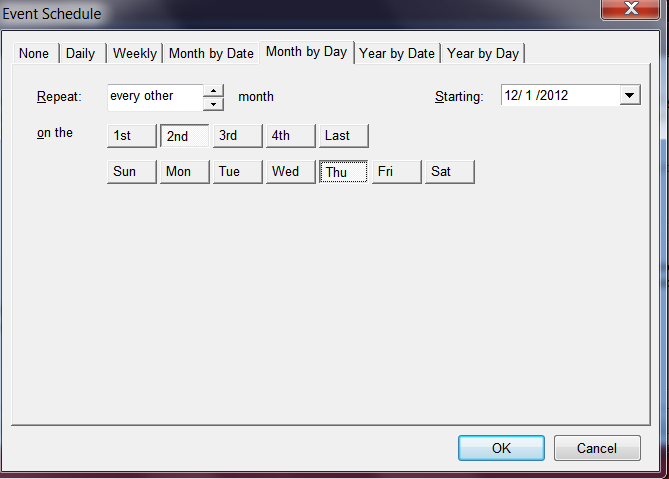 Now you could rotate those two subsets in and out using the Filter option. You’d always be playing some Top-10 and some Non-Top-10, but which specific songs would continually change. Or, how about a country station that has a ton of George Strait in the library (just using him as an obvious example)? All of it is worthy of play, and you want to continue to give your listener those “oh, wow” moments where they hear a well-loved song they haven’t heard in ages, but you don’t want to have all of it active at the same time. As above, create a sub filter to shift a set of tertiary George songs in and out, on your predetermined timetable. Are you programming classical music? Let’s face it; your library is huge to begin with, so Auto Platoon is an awesome way to manage a library that has over 100,000 titles in it (no, that’s not a typo for you non-classical folks!). You might also consider moving specific music in and out. Playing all of the Haydn Symphonies or Vivaldi Violin Concertos? Use a filter to move them in and out of rotation. In all these examples, you end up super-serving your core audience, the one that knows your format backwards and forwards and appreciates hearing all those “other” songs. Since the music is all valid for the format, your likers won’t know anything is unusual. When you initially set this up, you have to have music in both the active category and the category you’ve designated for resting. It might be a good idea to do some Library Analysis on the category before you split it. Look at your various coding fields and even artist keywords and try to balance what music you rest. Once you’ve set up Auto Platoon, all the rules in the active category should be reviewed to make sure they are still relevant for the category. This is especially true of Minimum Rest and any Hour Rotation rules you may have in place. You probably have now realized how Auto Platoon could change how you do any music testing. If the song tests well, it can go into rotation. You can still decide that at any given time you only rotate “x” number of songs to get the turnover you want. Which songs are in rotation at any given time, though, will always change if you use Auto Platoon. You no longer have to worry about cutting off the list at 100 and leaving that really good 101st song out.